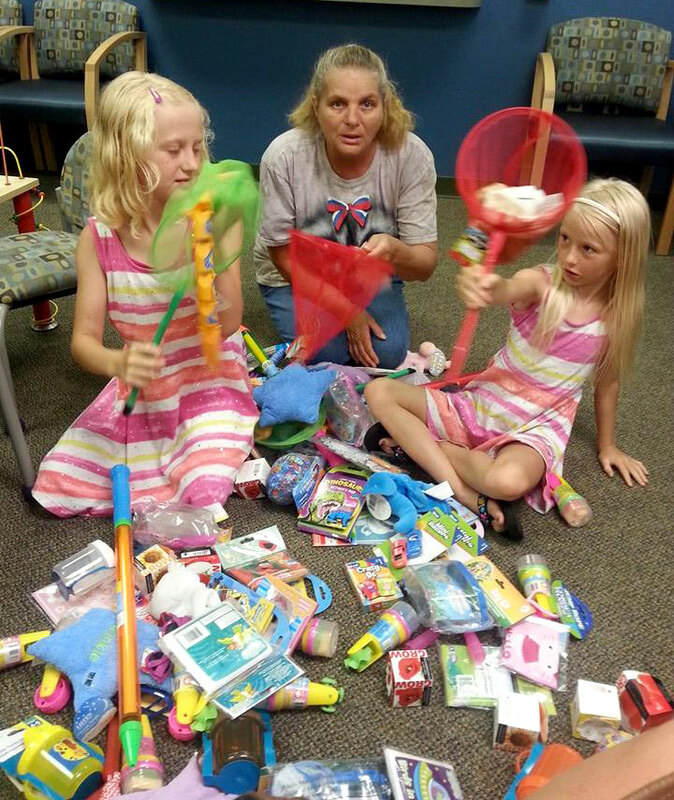 Riley (left) with her little sister, Stacia, show nurse Michelle Craver all the toys they purchased for the Infectious Diseases department. My daughter is a sweet little girl who has showed so many of us how to be strong and to love. She is always wanting to help everyone. Riley was born a happy baby. Even when she was sick she had a smile on her face. I would not know at that time what she would have to go through. Riley would get sick with a high fever just over night. We would take her to the doctor and they would say it was OK to give her Tylenol. Being my first child I would say OK and take her home. By the time Riley was 3 months old I knew something was wrong. She was sick 3 weeks out of a month and she was in and out of the hospital with little things, from an ear infection to a cold. Sometimes they would not know why she would be running a high fever. They would just say every child can get sick up to 12 times a year. By the time Riley was 13 months her doctor told us to take her to Akron Children’s Hospital’s ER because she was running another high fever. The ER doctor told me he did not know why she was running a high fever but he was going to help us out. Before we left that day we had an appointment for that next day. The doctors were all so nice and willing to put the puzzle pieces together. When Riley was 16 months they did blood work and other tests. I remember 3 days later I got a call from the doctor’s office. They told me to take Riley to the infectious disease department. That’s where we met Dr. Blaise Congeni and a sweet nurse named Michelle Craver. Instead of a party for her, Riley collected money to buy gifts for others. Dr. Congeni told us Riley had immunoglobulin deficiency. We were so happy to find out the last piece of the puzzle. That’s when we started doing infusions. It was like a new life start for Riley. She was not getting sick as much and would go maybe 2 months without being sick. Fast forward 8 years and she is doing so great that this spring Dr. Congeni and I talked about taking Riley off her infusion for the summer. 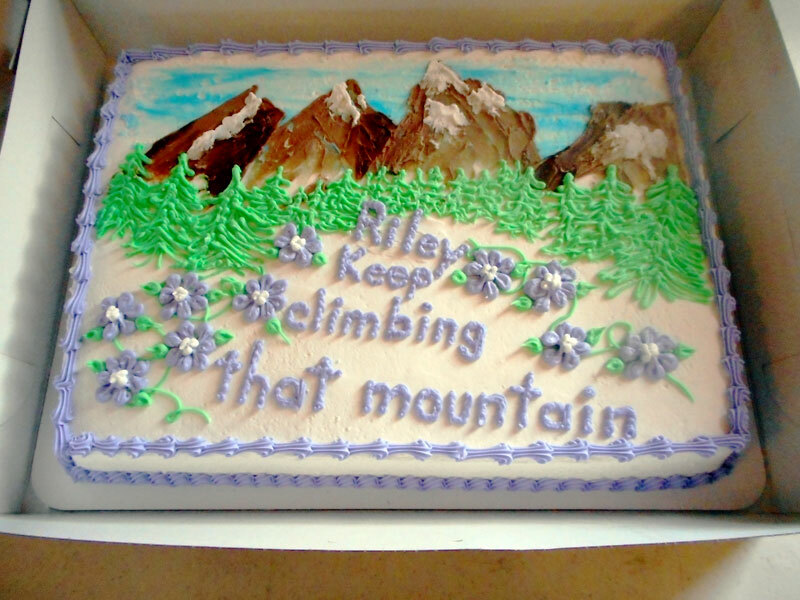 I was so happy, as was Riley, so my husband and I throw her a party. She told us she did not want gifts. 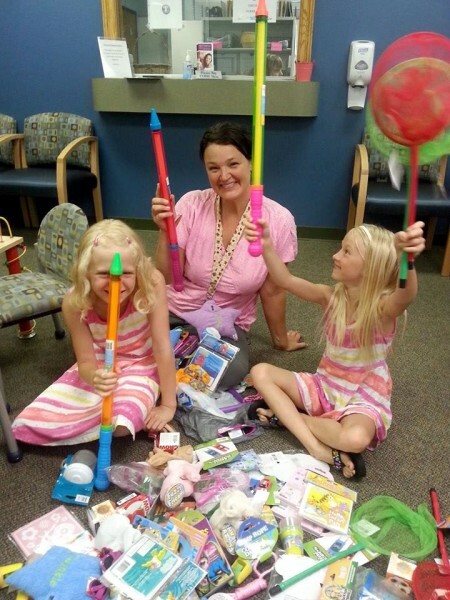 She wanted to collect money to buy gifts for the infection disease department. So we did just that. Riley collected about $100. She was so happy we went to store after store buying gifts. She spent a dollar or so on each gift. We took them up the other day. She could not wait to get up there. Nurse Michelle came out and talked with Riley and Dr. Congeni stopped in too. Riley and her sister had to show them each gift. I’m so proud of Riley.